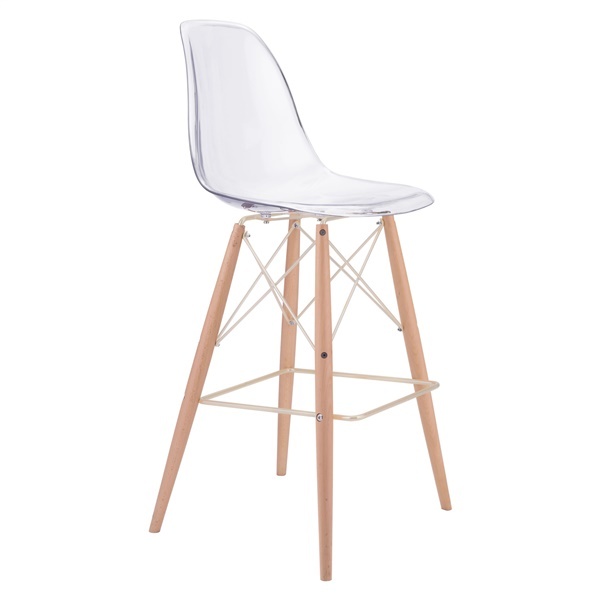 For those who want a bar chair that stands out every day, the Shadow Bar Chair from Zuo Modern offers a dazzling option. This distinct chair boasts a transparent polycarbonate back and seat that are both stylish and comfortable. In addition, the chair is supported by tapered beech wood legs and accented with a chrome sphere-style structure and footrest for amazing quality. Enjoy a top-of-the-line bar chair that delivers proven results thanks to the Shadow Bar Chair. Boasts a transparent polycarbonate back and seat that are both stylish and comfortable. Exceptional footrest makes it simple to relax in this chair any time you choose. Beach wood legs provide outstanding versatility and support. Awe-inspiring design guarantees the chair can make a distinct impression in any modern or retro setting.